Our Ayurvedic Wellness Centre in Mumbai. provides Two main types of Beauty Treatments. If you want a soothing face massage, we use special herbs and oils for Face Massage, so that your skin can relax. This is a great treatment that will make it look young and vital. It will remove any facial irregularities such as pimples, dark circles, fine lines and blackheads. The special herbs that we use are meant to make the skin look vibrant and soft, along with removing any sun tan or dead skin. Another form of Ayurvedic Skin Treatment uses Medicated powders and fresh herb paste to alleviate any diseases. It's a great Ayurvedic Treatment For Diseases; the pack of paste and powders is removed after drying up, which reduces pain, swelling and temperature. 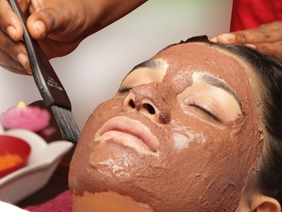 Our Ayurvedic Beauty Treatments also give you an opportunity to experience the feeling of exotic herbal paste on your face. Mukhalepam is simply a skin therapy which involves massaging your face with these natural creams. This herbal pack is made of various herbs and packed into a paste. It keeps the skin looking young and wrinkle-free. Using that pack will prevent the skin from discolouring and it can also help with sunburns. Each skin type warrants a different herbal combination. Face massage: Facial massage might sound like another unnecessary (and time-consuming) step in your skincare routine. But this procedure can help protect and rejuvenate your skin and relax your mind. Face pack: our special ayurvedic recipe cleans impurities and unclog pores. Helps in controlling oil secretion and skin dryness. Fights acne and sun tan. This therapy will gift you a clean, clear, healthy and rejuvenated skin. Head pack: Our hair pack is a complete hair care solution. It helps restore lost nutrients to your scalp. It gives your hair a natural shine and lustre. Hydrates and nourishes your hair. Makes hair roots stronger and improves scalp health. We have a blend of the best herbs for you. 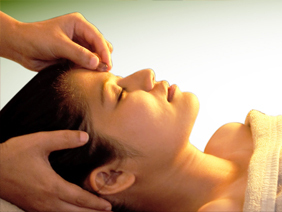 Rose abhyangam/chandan abhyangam: this is our specially designed beauty and rejuvenation treatments. The benefits of these therapies is not only external, but internal too. It heals you with its various medicinal properties. These luxurious therapies will pamper your skin and soul. 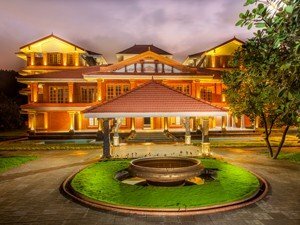 Navarapayasam: This traditional Ayurvedic therapy is a unique body pack made of rice and milk and fusion of herbs that help to rejuvenate and re-vitalize your body. This treatment has extraordinary relaxing and analgesic effects. Kshiradhara: A stream of herbal milk is poured over head and body. It helps is relieving stress and fatigue. Improves skin and hair health. Fruit body pack: Body packs made from fresh fruit pulps and fruit puree bestows a flawless glow, radiance and reveals a naturally fairer skin. Stimulates skin renewal. Fruit pack restores skin moisture, smooths away fine lines and delivers a perfectly brighter skin tone. Udwartanam and swedanam: Udwarthanam is a special therapeutic deep tissue massage using herbal powders. Softens and exfoliates dead skin cells, thereby giving a lustrous glow to skin. This therapy helps in detoxification, purification and toning the skin. Sneha nasyam: Nasyam is one of part of panchakarma in ayurveda treatments. It is a medication done through nose. Nasyam is also known for its beauty benefits. It helps to enhance skin quality and provide a healthy glow to the face. Netra dhara: Netra dhara is a treatment to calm exhaustion of eyes, reduces dryness of eyes. Lightens dark circles and reduces wrinkles encompassing eyes. Helps in curing eye diseases and disarranges. It expels strain and worry of the eyes and restore freshness and lustre. Padabhyangam: There is nothing that a good foot massage cannot solve. Padabhyangam is a tradition Ayurvedic foot massage that improves blood circulation throughout your body, promotes better sleep and will help you relax. These treatments will make you look young and vital. It will remove any skin and hair issues such as uneven skin tone, dullness, dark spots, dark circles, wrinkles, hair loss, dandruff etc. The special herbs that we use are meant to make the skin look vibrant and healthy, along with removing mental fatigue and stress.